Destinations such as Lukla, Pokhara, Simikot, Jomsom, Janakpur and Bharatpur are served by domestic flights. 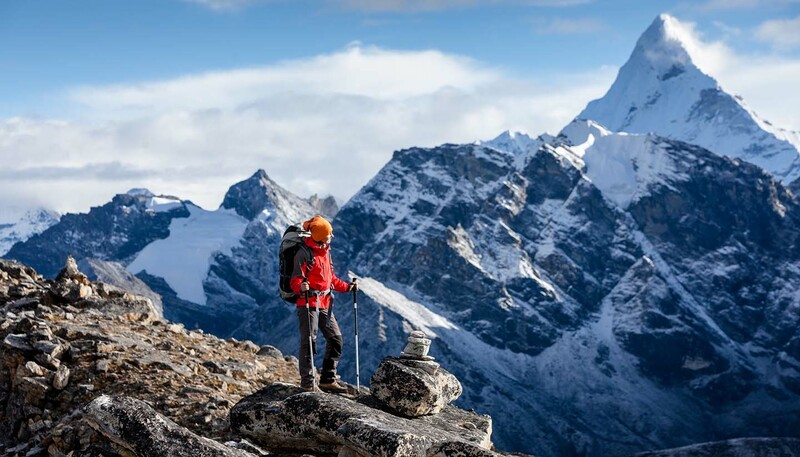 Nepal Airlines (www.nepalairlines.com.np) operates an extensive range of scheduled services, dropping trekkers at the main hiking routes. Yeti Airlines (www.yetiairlines.com) and Buddha Air (www.buddhaair.com) are also popular carriers. Internal flights can be booked via Nepal Air Flight (www.nepalairflight.com). Morning flights tend to be affected less by inclement weather. Note: Airfares must be paid in foreign currency by foreign nationals. 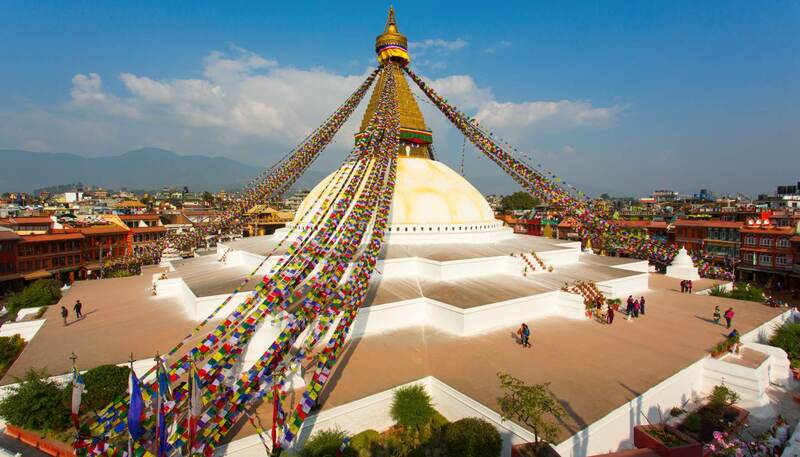 Air passes aren’t common in Nepal, but Tara Air (www.taraair.com) and Buddha Air (www.buddhaair.com) offer periodic deals. NPR200 is charged for domestic flights prior to departure. International Driving Permits are required to drive in Nepal. Drivers should be cautious; driving standards are poor and so are the roads. Car hire is not available in Nepal, but it is possible to hire drivers. Tourist buses run frequent service throughout the country. The road infrastructure in Nepal is limited. Road quality is also poor; potholes abound and landslides frequently close roads, particularly mountain roads which can be impassable during monsoon season (June to August). There are no self-drive hire cars in Nepal. Travellers must hire a car and driver. Taxis drivers are ubiquitous. Fares are cheap by Western standards, but do negotiate a price before entering the cab. Tipping is appreciated but not expected. You can hire bicycles and motorcycles in larger towns and cities. You need an international driving licence to rent a motorbike, but some vendors turn a blind eye if you don’t have one. Helmets and facemasks are advised. Check the horn works too – you may need it. Tourist buses provide transport to destinations throughout the country. They tend to be better equipped, more comfortable and safer than local buses. They also make stops on long journeys for lunch and tea. You can book tickets through hotels and tour operators. Local buses are cheaper, but tend to be packed and poorly maintained. Conductors collect tickets on board. The minimum driving age is 18. There's no national breakdown service. You need to find a local mechanic. An International Driving Permit is valid in Nepal for 15 days, after which a local licence is required. A temporary licence is available from local authorities on presentation of a valid national driving licence. Drink driving is not tolerated in Nepal and police checkpoints are common during holidays and festivals. Strikes (known locally as bandas) frequently bring Nepal to a halt, closing the country’s roads. Keep abreast of the news before you travel. There are frequent bus services in populous towns and cities. Private minibuses are also available. Taxi: Metered taxis are plentiful in Kathmandu; at night, the meter reading plus 50% is standard. Private taxis are more expensive and fares should be agreed before departure. Tempos: These metered three-wheel scooters are slightly cheaper than taxis. Rickshaws: These operate throughout Kathmandu. Fares should be negotiated in advance. It is not currently possible to travel across Nepal by train. Ferries are used for river and lake crossings, but tend to be overcrowded.